Read this book while listening to songs as they are cited. Look up paintings as they are mentioned. 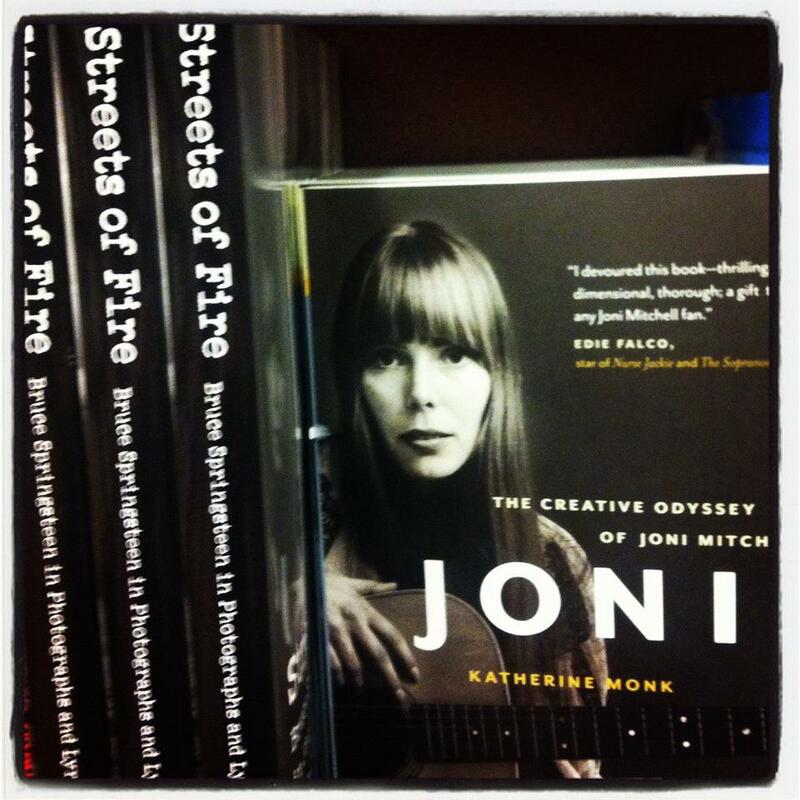 If you liked Bob Dylan’s Chronicles, Patti Smith’s Just Kids, or Daniel Lanois’ Soul Mining, this book digs deeper into the mysteries of creativity. Unlike autobiographies which can often have reflexive self-flattering thoughts about oneself, Katherine Monk probes further into creative behavior in a way a psychiatrist can. Her topic could not have been more challenging: Joni Mitchell. As an Artist, she changed as much as a road-less landscape with each season. In this journey, one constant is that a new world is always out there ready to ignite creativity and vision, just sitting there for someone to make kinetic. The most gifted Artists have an antenna that reaches for a new world. No one teaches you how to be great. Anything taught is often boxed inside aging rules. And rules by nature encourage settling for less. The great Artists think deeper, feel more and see more. They dare to create original work with its own language many won’t initially understand. Music that is truly new will encounter a hip ear that is tone deaf. Pioneering artists travel in your blind spots. I will never forget how Joni Mitchell in Green Flag Song found this space of lo-fi photography for which I had a passion for. At the time, many people told me, this space had no merit, no meaning and no future. A couple years later, taking cell phone photos became the most popular art form in the world. That's a metaphor for any new art. This book’s writing goes on its own odyssey, written like a deep letter, unlocking things we thought we knew about creativity in our lives but perhaps did not. It’s a profound exploration of the creative journey. I read this book having already been on a journey and I wondered how I would have seen this book in my more naïve 20s. Why are the same follies repeated in creative pursuits if not naively adopted cyclically by the next 20-something? Much of the world of music is fiction both on stage and off-stage. Image projection and myth shape the industry more than music itself. Songs themselves are dramatizations of realities. The truth is arrived at through a journey – with a seeing eye tuned by an authentic heart. 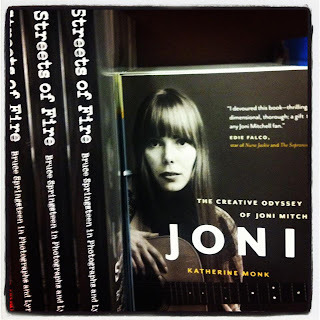 There are no interviews with Joni Mitchell for this book. That might be a blessing in disguise. She is not interviewing Joni Mitchell. She is interviewing creativity itself.